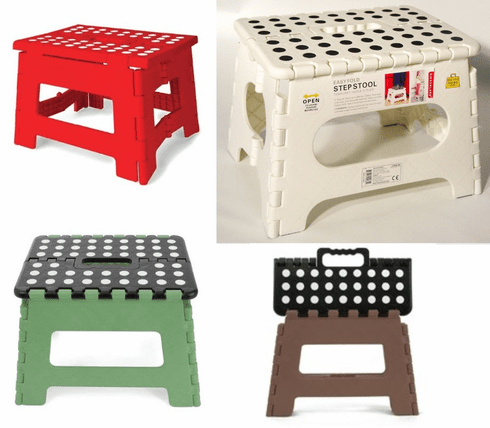 Plastic folding stool and step. Folds flat. Supports up to 300 pounds. Great step up in the kitchen for children, RVs and more. H 9" in use. Flat L 14" x W 15" x D 2". Stock Photo! Actual product may vary in color.